On September 29th global experts will convene at The Luskin Conference Center at UCLA for the 8th International Symposium on Malignant Pleural Mesothelioma. 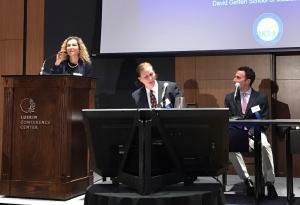 LOS ANGELES, CA, USA, August 15, 2018 /EINPresswire.com/ — On September 29th global experts on malignant pleural mesothelioma will again convene at the Meyer & Renee Luskin Conference Center at UCLA for the 8th Annual International Symposium on Malignant Pleural Mesothelioma (MPM), a rare form of cancer that results from exposure to asbestos and commonly affects the lining of the chest– the pleura. 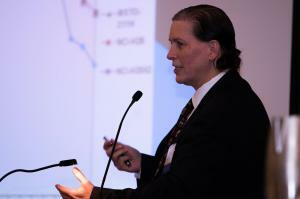 The event is jointly hosted by UCLA and the Pacific Mesothelioma Center (PMC). The Symposium is geared towards physicians and offers continuing medical education (CME) credit. It will also provide up-to-date information on mesothelioma for medical students, nurses and other healthcare professionals, as well as mesothelioma patients, their families, and other interested parties. Topics will cover: Perioperative Immunotherapy; Mesothelioma Clinical Trials; Novel MRI Assessment of Mesothelioma Tumor Volume; Toxicities and Outcomes Using Whole Pleural Intensity – Modulated Proton Therapy; Understanding the Immune Response to Radiotherapy in a Dual Tumor Model of Mesothelioma; Integrative Molecular Characterization of Mesothelioma: Cancer Genome Atlas Project; A Modified Measles Virus Against Mesothelioma; An Exhaled Breath Biopsy Earmarks Exclusive Screening for MPM; Mesothelioma Immunotherapy by Controlling T Cell-Mediated Immunity; Overcoming the Immunosuppressive Tumor Microenvironment of Murine Malignant Mesothelioma and more. The Symposium will be led by Robert B. Cameron, MD, FACS, Director of the UCLA Mesothelioma Comprehensive Research Program and Professor of Thoracic Surgery at the David Geffen School of Medicine at UCLA. The roster of distinguished international faculty at the Symposium will include Kevin G. Blyth, MD, MBchB, FRCP, University of Glasgow; Nicolas Boisgerault, PhD, CRCINA Cancer Research Center, France; Lisa M. Coussens, PhD, Oregon Health and Science University, Portland; Mikihiro Kohno, MD, PhD, University of Toronto, Canada; Marc Ladanyi, MD, Memorial Sloan Kettering, New York; Kevin Lamote, PhD, University of Antwerp, Belgium; Charles B. Simone II, MD, University of Maryland Medical Center, Baltimore, Maryland; Wesley Wilson, PhD Candidate, University of Western Australia Perth, Australia, as well as local experts from UCLA. "There is so much exciting science from around the world in terms of treatment for mesothelioma, with promising medical advances and new research” said Dr. Cameron. “This year we have changed the format to concentrate more on clinical and research sessions and have incredible speakers from all around the world”. The symposium gives an unrivaled opportunity for both the medically savvy and general public, including mesothelioma patients, to not only learn first-hand about groundbreaking discoveries but also to exchange ideas. Early Bird tickets can be purchased before September 6th online at http://www.cme.ucla.edu/courses/. The Pacific Heart, Lung & Blood Institute (PHLBI) is a 501(c)(3) non-profit medical research institute established in 2002. 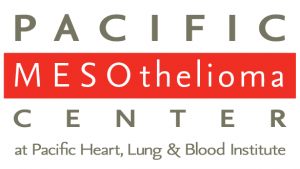 One of the divisions, The Pacific Mesothelioma Center (PMC) is focused on the treatment and prevention of malignant pleural mesothelioma (MPM). The exploration of innovative ideas forms the foundation of PMC’s unique research program and provides the promise of future treatment breakthroughs. PMC is dedicated to educating the public on asbestos-related diseases and informing them of their best treatment options. PMC also connects newly diagnosed patients with other patients that have been through treatment and provides assistance and emotional support.